Over the last few months, The Co-op Advantage®️ has focused on each of its regional co-sponsors’ year-end dividends, and what it means to invest in your future by being a grower-owner. The open-book policy of every cooperative is led by an elected Board of Directors – each of whom also live and breathe agriculture as grower-owners themselves. Cotton Center producer Tommy Horsford has served on regional co-sponsor PYCO’s Board of Directors since 1978, and said he does it because of his passion for the co-op system. 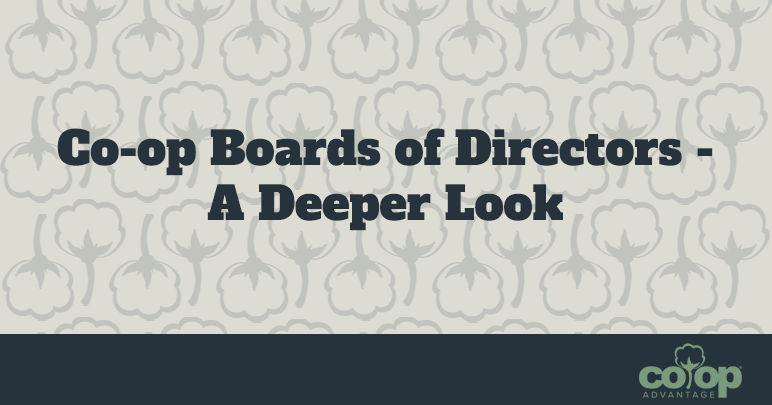 Local and regional Boards of Directors have multiple duties – from assisting with strategies, providing leadership, offering on-going communication, and a multitude of other supportive roles necessary for the sustainability of every grower-owner. But the bottom line is always the role of service at every level. Being a voice, and always working on the by farmers, for farmers co-op premise. Members of each Co-op Advantage regional co-sponsor board are dedicated to giving their best to each of their grower-owners through regular training and support through the Texas Ag Co-op Council and the Oklahoma Ag Co-op Council. Created by Texas cooperatives in 1934, TACC serves local and regional board members as an even larger, collective voice, and a catalyst for all co-op activities in the state. TACC set out to work with co-op boards to assist in developing meaningful, realistic goals that translate into greater sustainability for grower-owners. 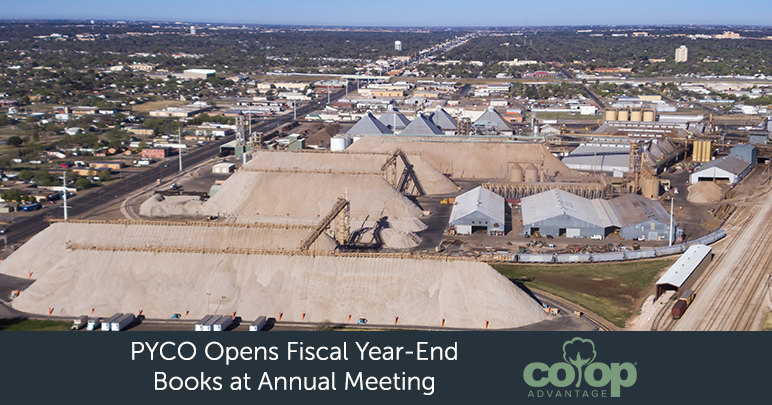 Horsford said the opportunities he’s had to attend sessions provided by TACC have helped him be even better in his position on the PYCO Board. He also said he would encourage anyone to go when sessions are offered. The OACC also focuses on business success, sustainability in both good and bad times, communication support and governmental updates. Always, the two entities are dedicated to offering a voice and direction on issues to grower-owners across the supply chain. New Home producer and PCCA Board Member Dahlen Hancock said he serves because of the mentors before him. Sudan producer Freddie Maxwell and board member for regional co-sponsor FCC, echoed Hancock’s sentiments. Maxwell, Hancock and Horsford consistently use words like voice, team, sustainability, community and transparency when discussing the benefits of being part of local and regional co-ops and as being part of their Boards of Directors. In the end, all three circle back to the benefit co-ops have as a proven investment in the future.